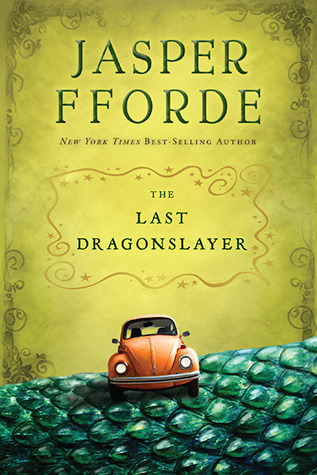 The Last Dragonslayer is the first book in the Chronicles of Kazam series. The book is a little confusing at times and the author could have spent a little more time developing the characters in the beginning. Other than that, the book is great! My boss, Mr. Zambini is out and I am filling in for him. Not many people listen to a fifteen-year old girl but I have my ways. In my world, magic is something that you cannot get rid of. In the place where I live, the Ununited Kingdoms, magic is a part of everyday life. But now, magic is starting to go away. Lots of businesses depend on magic, and when magic carpets don’t run anymore, life starts to get tough. People all over the world are beginning to see visions of Maltcassion, the last dragon, dying. Dying at the hands of a dragonslayer who is unknown. Everything is about to change, for Kazam, and for me. Because I am the last Dragonslayer.